Metabolic syndrome is a cluster of conditions that increases the likelihood of cardiovascular heart diseases and diabetes. Risk factors include abdominal obesity, elevated blood pressure, insulin resistance high blood sugar levels and abnormal blood cholesterol levels. 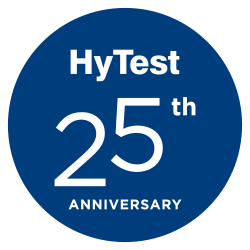 At HyTest, we provide monoclonal antibodies and antigens that enable the development of quantitative immunoassays for the detection of various biomarkers, such as adiponectin, insulin and glycated hemoglobin. Kogan AE, et al. (2013) Oligomeric adiponectin forms and their complexes in the blood of healthy donors and patients with type 2 diabetes mellitus. J Immunoassay Immunochem. 34:2,180-196.